Would this work with coconut flour (or ground nuts) instead of flour? 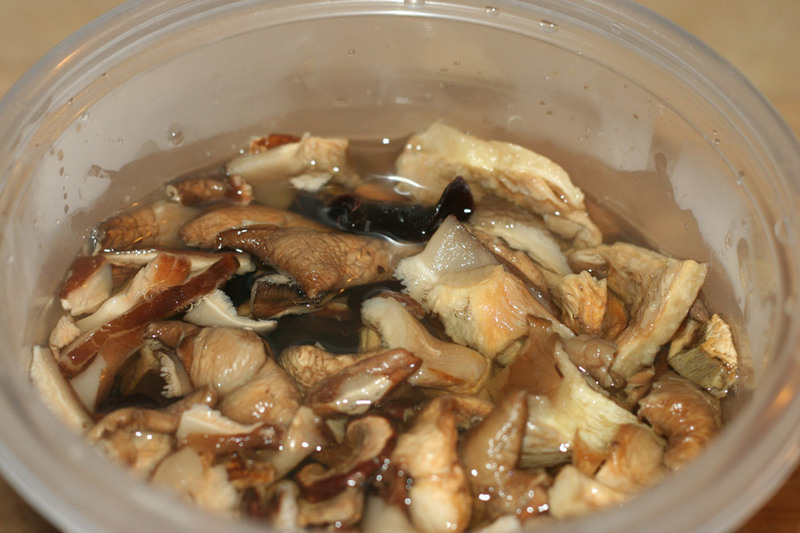 Also, Would sauteed mushrooms be able to replace the dried ones? Yes. 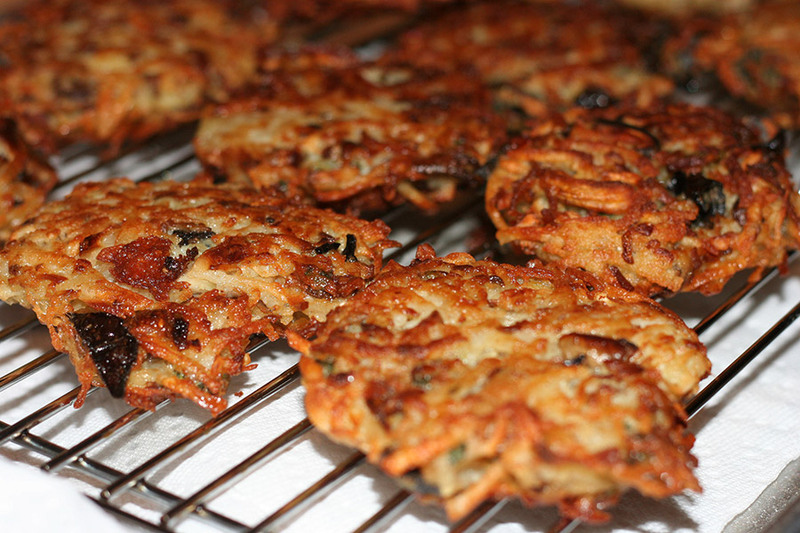 You could definitely use an almond or coconut flour. For fresh mushrooms, I don’t think you need to saute them first. Just shred in the food processor. I just shredded the creminis raw, and they were fine. 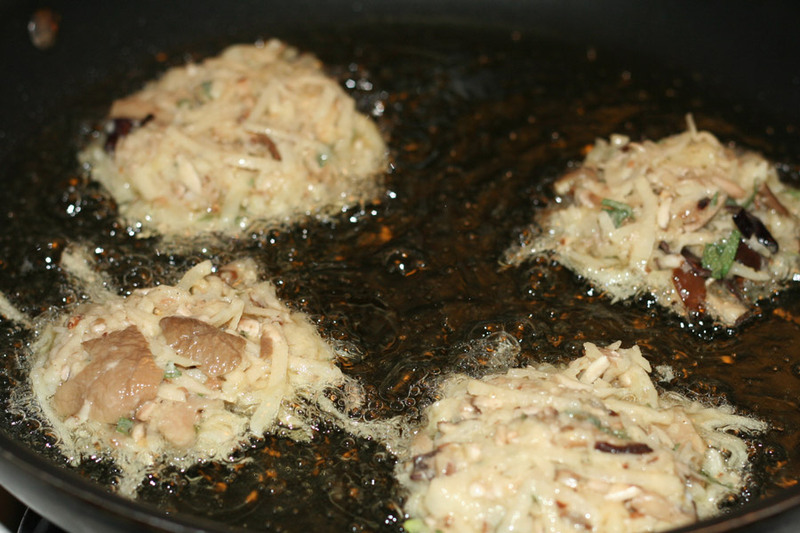 If you only have sauteed mushrooms though, that would work fine. Just a slightly different texture. Sounds so good! I love anything with mushrooms and this is just making my mouth water! 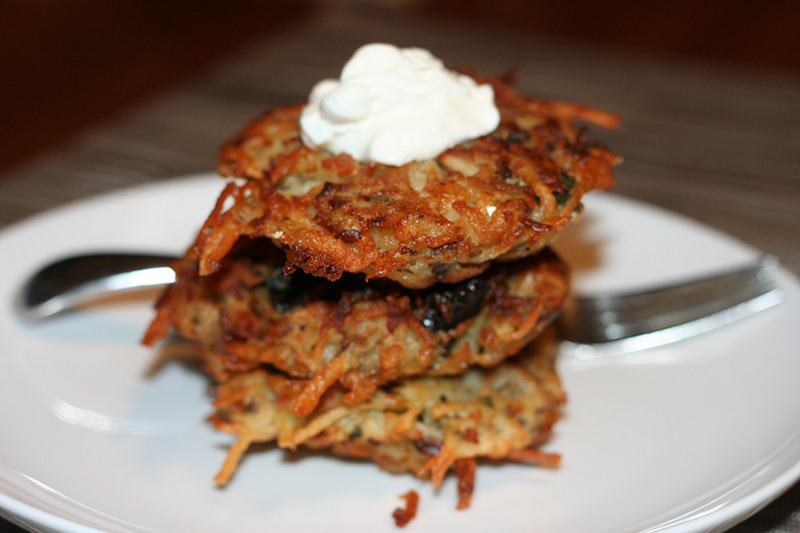 This is a real find for me; love potatoes, mushrooms and latkes. Not saving this for Hanukkah. It is an all-winter thing I think! I love this idea, I am obsessed with wild mushrooms and can’t believe I never thought of this one. Hope it is okay if I make my own version next year. Potatoes, mushrooms and garlic – now you’re speaking my language! 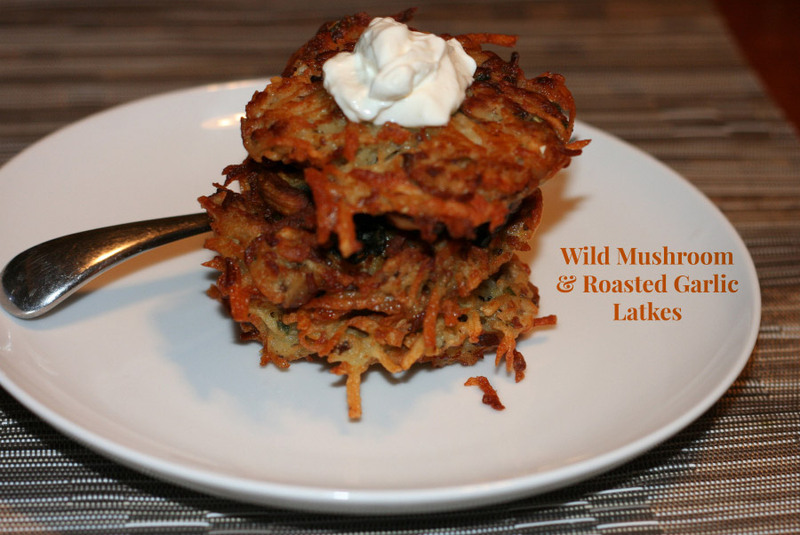 I love anything with wild mushrooms, but I never thought of putting them in latkes. What a great idea! My tummy is growling for these. I love the flavor combo!